At age 5, she sits in that small green colored chair impatiently waiting for her mother to bring THE COMB (oh-no! ), in an effort to braid her hair for school the next day. As her mother walks close to the chair, the little girl’s heart begins to beat faster than she can even handle….flashes of the painful comb through that she is about to encounter, are so vivid in this little girl’s mind as she looks for a way to escape what’s about to happen. As her mother finally reaches her chair to start the braiding process, the little girl says a silent prayer to God asking him to make this process smooth, at the same time, the mother is also saying a similar prayer asking God to make her baby’s hair softer and easy to comb through in this process. Now, we all know that God can be a God of humor sometimes. He didn’t change a thing about that little girl’s hair…in fact her hair was a lot tougher to comb through this time around due to lack of moisture…and boy-was this mother upset! Without anything such as conditioner, spritz of water or any other agent that can aid in making this comb through/braiding process a bit easier, the mom simply thought that the comb would be the only tool to make this work. 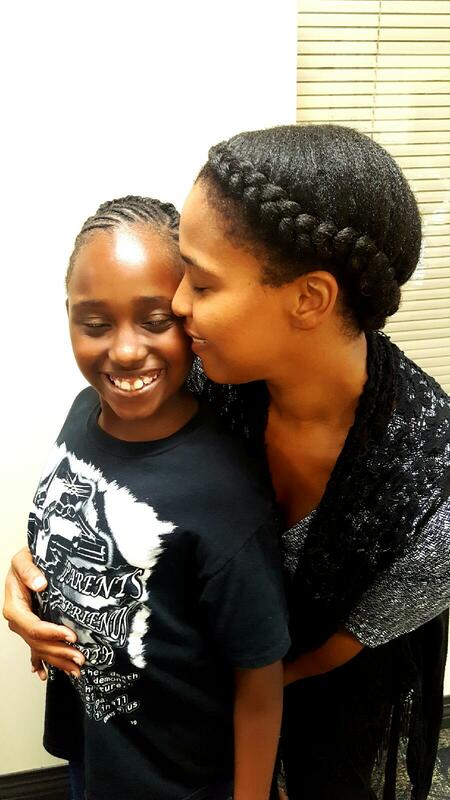 Feeling defeated, the mom decides to just let her daughter go to school with a ponytail the next day. She had plans for her daughter’s hair later on. After picking up her daughter from school that day, the mom decided to sit the little girl down in that green chair again. The little girl looked around and saw that on the dining room table, there was a box that said ‘Just For Me.’ She was unaware that this small box was about to change her hair’s life. The next day, she went to school with a different hair texture. This different texture was going to be apart of this girl’s life for about another 15 years. Most of us can relate to this scenario in one way or another. With hindsight as we are currently living in our 20-30-40-50something lives, we take a walk down memory lane to the day our hair was “de-virgined” by our mothers or grandmothers who had little to no knowledge on how to manage our hair. 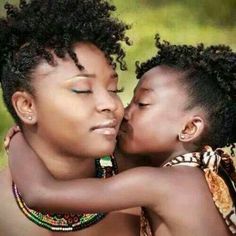 As we grew older and stepped in this era where there is so much more information about our natural grown tresses, we can see that what happened was of no fault to our mother’s at all. It was rather the lack of information that was provided for our coils, curls and kinks during their time. We now live in an era where we can have an array of details and items to keep our daughter’s hair natural where we can refraining from ever exposing them to the “creamy crack…” the same way we were once exposed to. With the likes of Youtube, Instagram, blogs and other social media platforms, we are now able to see what products works best for our daughter’s hair as well as how we can be more delicate with it. 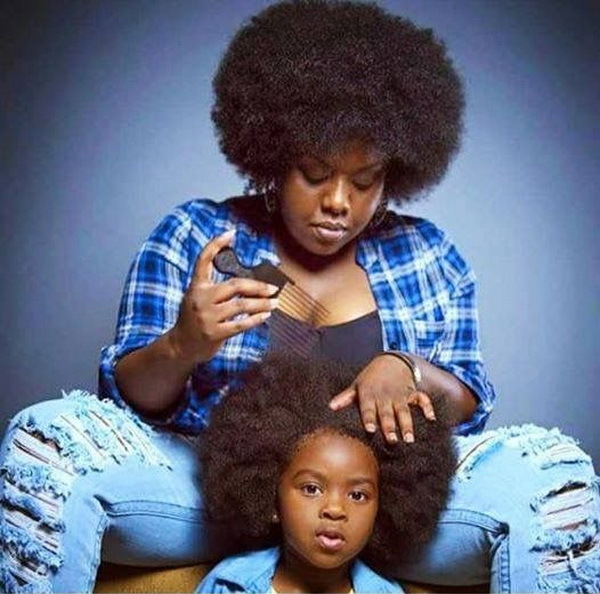 Most of our childhood hair memories may not have been the best but we can definitely thank our mothers and also thank that era where knowledge for our coils and kinks were scarce. it is because of those times that we are now more appreciative and more privy to understanding our God given mane accessory. It not only opened our eyes, but we were able to share such knowledge with our own mothers who are now natural right along with us and our daughters.(woop-woop!!) 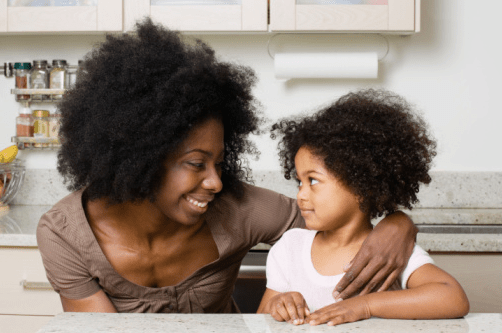 This makes it a well-rounded mother and daughter natural hair bond! 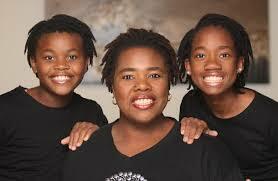 As Mother’s Day is soon approaching, we would like to honor our natural mothers and daughters-here’s to you!! !